Sometimes I watch and read peoples empties and am amazed at how much stuff they have managed to use up whilst other times I laugh at how few items they have ploughed through. This is one of those months where I have become the second of those two types of people. At the start of August there were so many things that I thought I was going to finish off beauty, lifestyle and home wise but I did that thing where I got slack for a few minutes and quantities of remaining product became too much to finish off. And then I have so many food and drink empties that I am thinking about splitting them down into individual product reviews over the course of the month. Basically, as always, nothing has particularly gone to plan this month. If you read my empties on the regular you have probably noticed that I live off this stuff just in a variety of scents. This is my least favourite one because it is so soft and gentle but I like to turn to it when my body is feeling a little sore and achey and I just want to avoid the possibility of irritating it. The label says suitable for sensitive skin and from how it feels that might be the case but it obviously is not the best ingredient wise so you might want to check the label for irritants first. But it does foam up just as well as the others and for 70p for a litre bottle you cannot complain too much. When my partner was away for a few days earlier in the month I was trying to make the most of it, keep my mind off of it and relax so I decided to have a little pamper session. After drenching my skin in body cream, my hair in a supposed miracle overnight conditioner and before doing my nails I decided to use one of the individual face mask sachets I have in the cupboard. I have not really used anything like the candyfloss one in the past and was nervous as to how abrasive it might feel on the skin and whether it would just feel sticky and leave me far from relaxed. But I acknowledged that I would never know if I never tried so I ripped the corner off the product and gave it a whiff. It certainly had the smell of sweetness and whilst it did not remind me of candyfloss, in honesty I really cannot remember the smell of candyfloss in general, I could tell why they would give it that name. The product itself was a light pink but applied to the skin it looked much more just like a thick and gloopy clear substance. 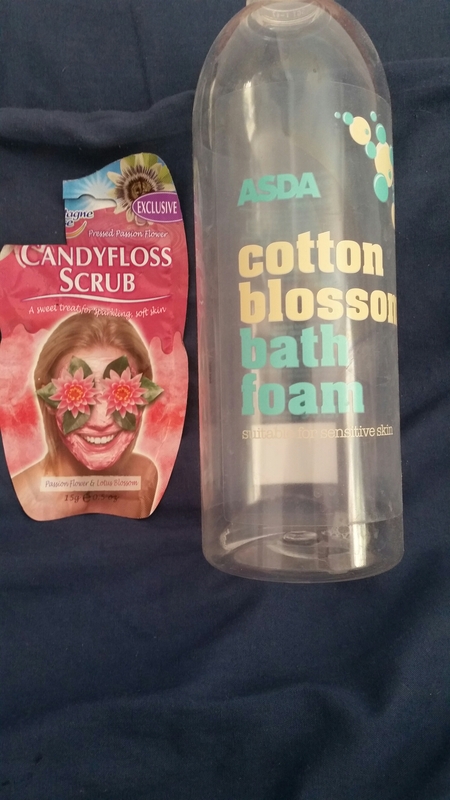 There were also bits of sugar, or particles replicating sugar, within which left me in a real situation because whilst it is called a scrub the instructions said nothing about rubbing it around youe face and instead just the usual of apply and leave on the face. In the end I opted to apply it and said I would move it around at the end of the recommended time. The time passed and I whisked it off whilst trying to get the little bits to go over different bits of my face. Even right there and then in that moment of looking in the mirror and touching my face I could feel or see no difference. This product was a huge fail to me and it is the first single sachey masks from this brand that I have tried and not enjoyed and been a touch confused by (my favourite is the passionfruit peel off). I will of course try others and hope for more positive outcomes but on the whole am likely to give their scrubs a miss. 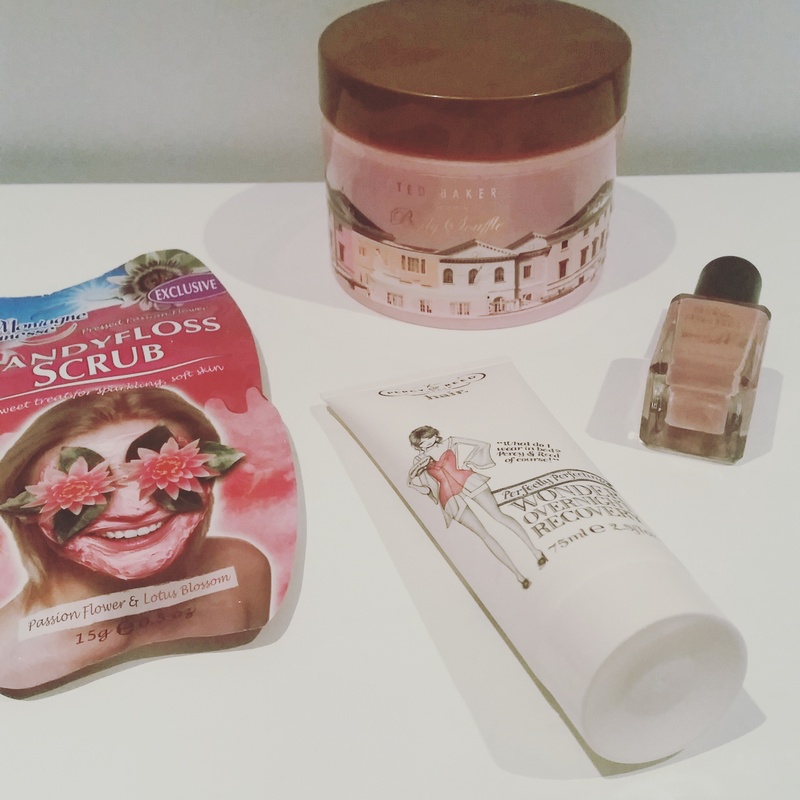 This entry was posted in Beauty, Declutter/Empties, Empties/Declutter, Lifestyle and tagged august, bath, bblog, bblogger, bbloggers, Beauty, beauty blog, beauty blogger, beauty bloggers, beauty product, bubbles, college, empties, face, facemask, lblog, lblogger, lbloggers, life, Lifestyle, lifestyle blog, lifestyle blogger, lifestyle bloggers, pamper, product review, Product Reviews, review, rubbish, selfcare, trash. Bookmark the permalink.